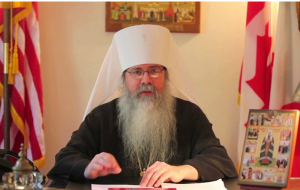 We offer statements from Archbishop Demetrios, Primate of the Greek Orthodox Church in America; Metropolitan Tikhon, Primate of the Orthodox Church in America; and Metropolitan Hilarion, First Hierarch of the Russian Orthodox Church Outside of Russia. 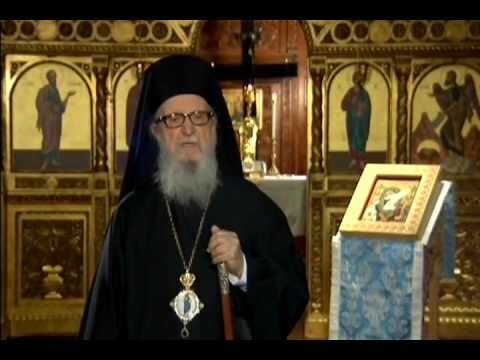 Archbishop Demetrios Calls for Prayers for the Victims of the Massacre in Newtown, Conn.
NEW YORK – Upon hearing the horrible news of the monstrous mass shooting in the Sandy Hook Elementary School in Newtown, Connecticut, which caused the tragic death of 26 people, most of which are reportedly children, His Eminence Archbishop Demetrios of America immediately contacted Fr. Peter Karloutsos, the priest of the nearby Greek Orthodox Church of the Assumption in Danbury, Connecticut. 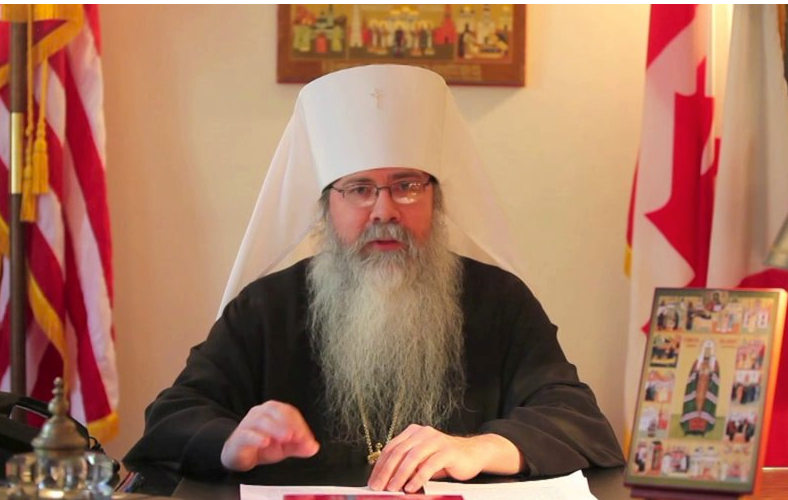 He expressed to him his deep pain and great concern about this terrible incident and its devastating effects on the local community, and offered any support on behalf of the Greek Orthodox Archdiocese of America. The Archbishop said that this is a crime whose magnitude and nature is impossible to believe, an abominable act of the kind that our society should work hard to prevent. He called upon the orthodox faithful across the country to pray fervently for support and healing from God to the many families and individuals affected by this violent act and for the repose of the souls of the innocent victims of this enormous tragedy. A scheduled visit of the Archbishop to the Greek Orthodox Church of the Archangels in Stamford, Conn. this coming Sunday Dec. 16, has been postponed; instead the Archbishop will visit the Greek Orthodox Church of the Assumption in Danbury, in order to offer pastoral support and guidance to the people of the area and pray with them in a Divine Liturgy which will begin at 10:00 a.m.
All of us have been shaken by the news of the tragic death of twenty young children and six adults at the Sandy Hook Elementary School in Newtown, Connecticut. All of a sudden, the image of Rachel, who was ‘weeping for her children and refusing to be comforted, because they are no more’ [Jeremiah 31:15], becomes more than simply a passage from scripture. Rather, it becomes an unfortunate reality in the lives of those affected by the senseless incident and in our own hearts, as we share in their lamentation and sorrow. None of us can truly understand the personal distress that so many are facing today. Yet every one of us knows the reality of such tragedy and experience it in the depths of our hearts. Our very being is shaken and we feel powerless to do anything. Nevertheless, we make an effort to direct our prayers towards the families of those who have lost their most dear ones, most of whom are innocent and pure children. Concerning those who have fallen asleep, Saint Paul exhorts us not to “grieve even as others who have no hope” [1 Thessalonians 4:13]. And yet, herein he does not forbid us from grieving. Now is the time for us to weep, but we must weep with the firm hope that comes from our faith in our Lord Jesus Christ. “Shed tears, but remain calm; weep modestly, and with fear of God,” writes Saint John Chrysostom. And following this example, each of us must strive to transform our sorrow into prayer. I therefore call on the clergy and the faithful of the Orthodox Church in America to offer fervent prayers for the souls of those whose lives have been so brutally cut short and for the consolation of all those whose existence has been shattered by this unfathomable event. I also ask that those who are physically able to offer their services to the grieving and the broken-hearted, both in the Newtown community and throughout this land. It is at times like this that we must put our faith into action and offer our Christian support and love, to make our prayers concrete through action. Many have been affected, and many more will be overcome by grief, despair and isolation. We must ensure that we do all we can to provide a sense of true community to all those in need and to bear their burdens as the Lord asks us to. “All of us have been shaken by the news of the tragic death of twenty young children and six adults at the Sandy Hook Elementary School in Newtown, Connecticut. All of a sudden, the image of Rachel, who was ‘weeping for her children and refusing to be comforted, because they are no more’ [Jeremiah 31:15], becomes more than simply a passage from scripture. Rather, it becomes an unfortunate reality in the lives of those affected by the senseless incident and in our own hearts, as we share in their lamentation and sorrow. “None of us can truly understand the personal distress that so many are facing today. Yet every one of us knows the reality of such tragedy and experience it in the depths of our hearts. Our very being is shaken and we feel powerless to do anything. Nevertheless, we make an effort to direct our prayers towards the families of those who have lost their most dear ones, most of whom are innocent and pure children. “Concerning those who have fallen asleep, Saint Paul exhorts us not to “grieve even as others who have no hope” [1 Thessalonians 4:13]. And yet, herein he does not forbid us from grieving. Now is the time for us to weep, but we must weep with the firm hope that comes from our faith in our Lord Jesus Christ. “Shed tears, but remain calm; weep modestly, and with fear of God,” writes Saint John Chrysostom. And following this example, each of us must strive to transform our sorrow into prayer. 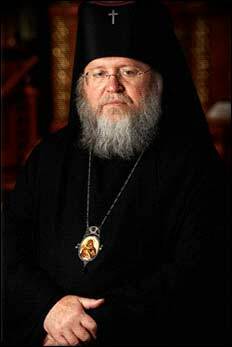 “I therefore call on the clergy and the faithful of the Orthodox Church in America to offer fervent prayers for the souls of those whose lives have been so brutally cut short and for the consolation of all those whose existence has been shattered by this unfathomable event. I also ask that those who are physically able to offer their services to the grieving and the broken-hearted, both in the Newtown community and throughout this land. “It is at times like this that we must put our faith into action and offer our Christian support and love, to make our prayers concrete through action. Many have been affected, and many more will be overcome by grief, despair and isolation. We must ensure that we do all we can to provide a sense of true community to all those in need and to bear their burdens as the Lord asks us to. Dear brethren, sisters and children! With horror I followed the tragedy that unfolded yesterday in a school in the state of Connecticut, during which a murderer spared neither children nor even his own mother; and I hasten to express unto all my deepest sympathy amid your common sorrow. I am praying for the repose of the children and those who suffered with them, and for their bereaved parents, relatives, classmates, teachers and friends. May the Lord give His people strength and bless their hearts with His heavenly peace. May Jesus Christ our God bless the self-sacrificing teachers who saved the terrified children and showed them an example of Christian love. With all my soul I desire that the consolation of Christ and help from heaven be granted you! Yesterday’s tragedy again reminds us that we must cherish the sacred gift of life and one another, following the commandments of God, and thus bring forth the light of Christ in this fallen world, rendering it less dark.